Hello! 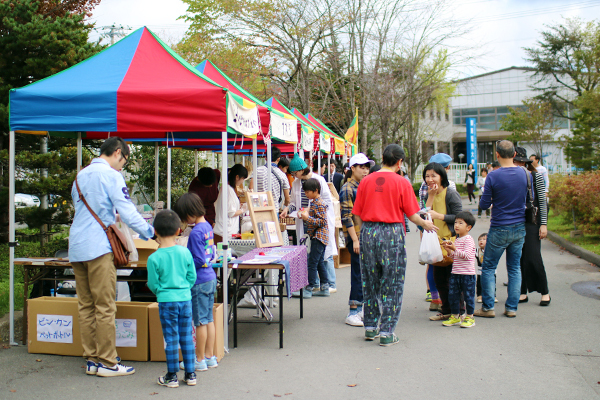 We held ‘’Global Buibui Market’’ on September 25th,2016. Let us report how it went! 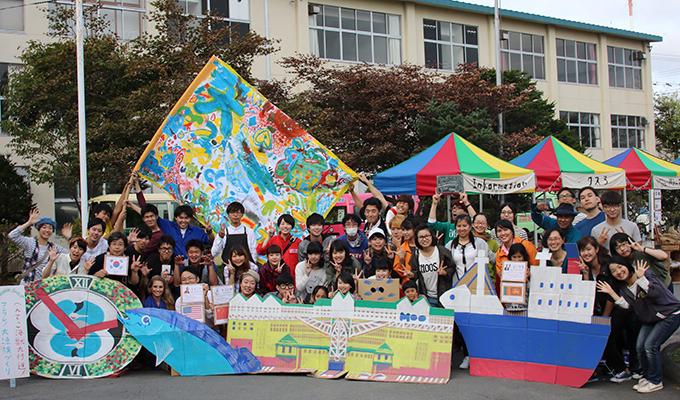 「Global harvest festival 」, which was held last November, was back and made it powerful! That’s ”Global Buibui Market”! 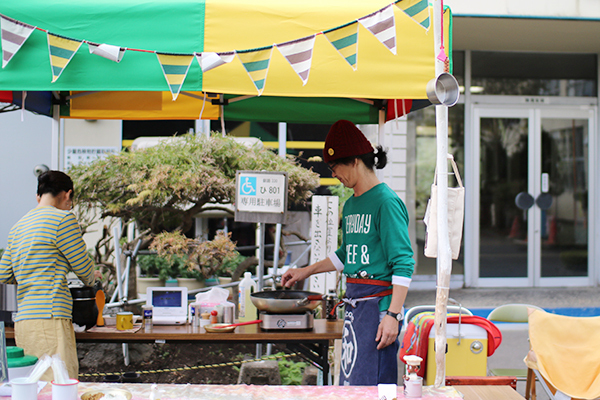 In the harvest season, we had a varieties of seasonal foods like fish and vegetables in Easty We had people who living in Kushiro, from different countries cook their own country’s meals with them. I’ll show you a look of this event in detail. 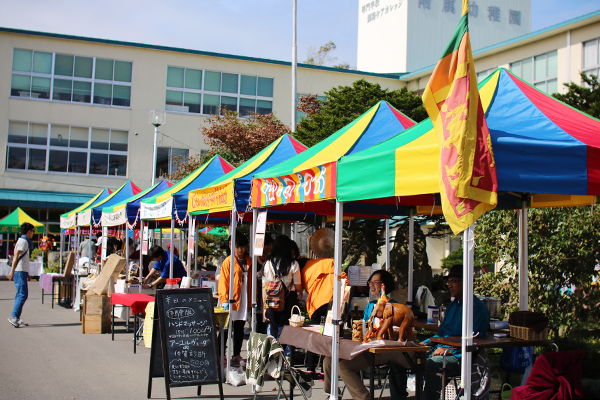 This event took place atKushiro junior college.We started site management from previous day. 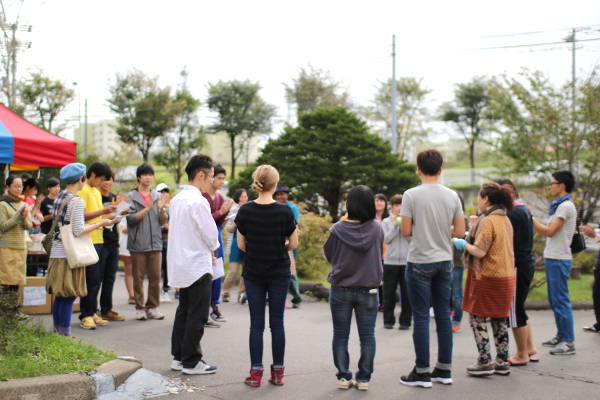 We got many staff-students from National of technology, Kushiro college and Hokkaido university of education in Kushiro students!!! Colorful tents are so lovely. 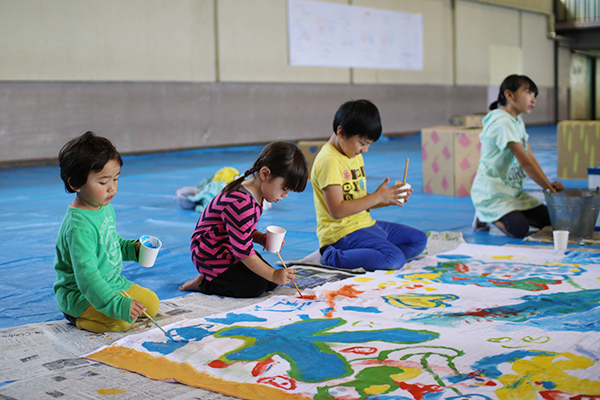 We worked with colorspaints in the gymnasium. He’s a exchanged student,Kentei. 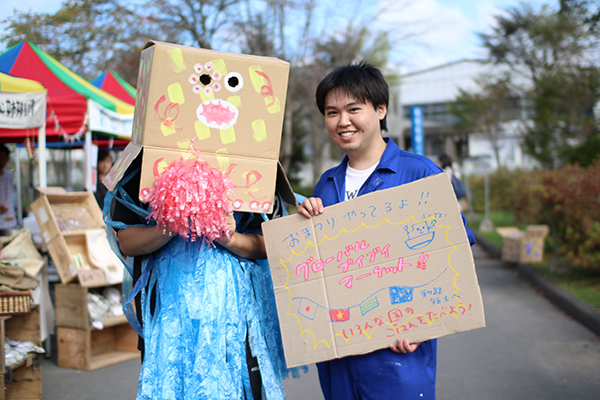 He’s during studying abroad at Kushiro public university. 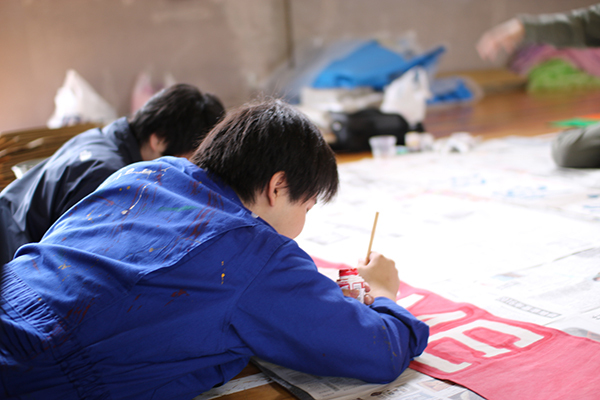 Another exchange student, Iku is not in this picture, but she had been working. This is the staff-meeting before opening. Let us introduce tenant owners of each booth and their state. First of all, this is American booth! 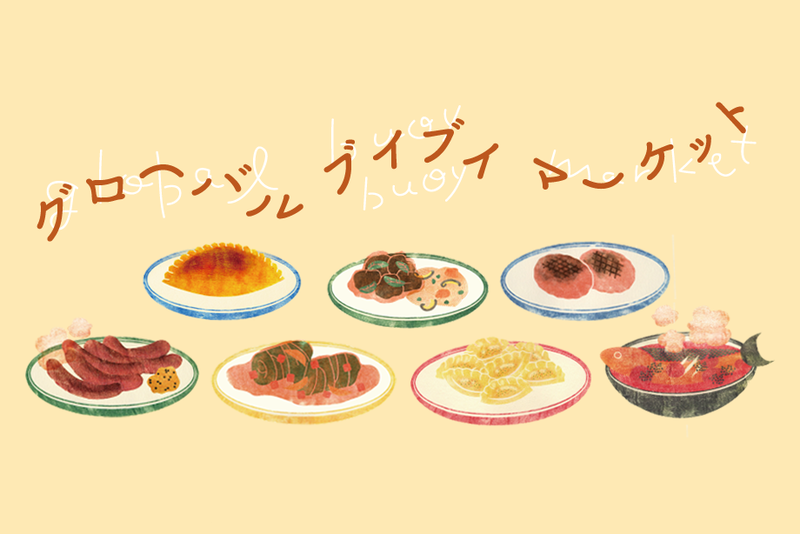 Ms. Amy Lovecchio , who has lived in Kushiro for a year, opened up the store! She sold zucchini breads, truffles, and rice crispy squares. Her smile is so lovely! 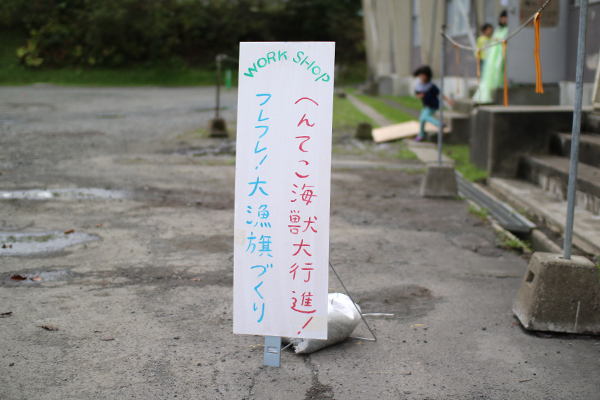 We put up signboards which say「May I help you?」in each countries language for each booth. 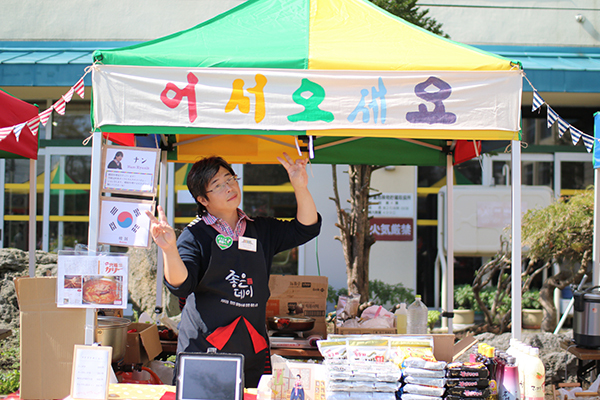 Here’s the booth of Korean, Nam Kyusik. He runs a Korean restaurant, so we had him provide Toppoki,Japchae Gyoza,Pork and Kimchi Fried noodles with customers. The booth from Vietnam was so busy. Six lovely girls who are under training at Kushiro-fish restaurant came here. They made mackrel spring rolls that were very yummy. Next to Vietnam’s booth was Sri Lanka. 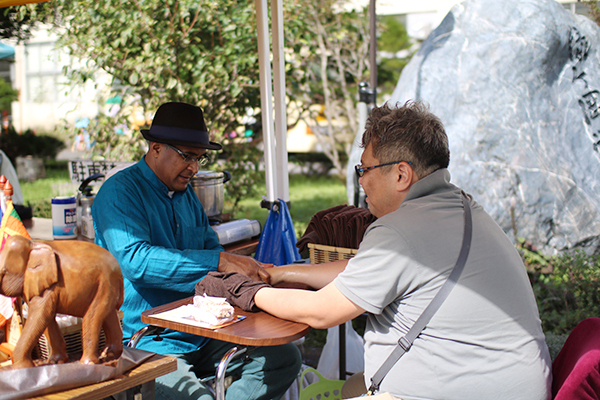 This is a picture of Thilak Peiris giving a customer hand-care. He also gave diagnoses about body-buildiingngi in addition to this massage. 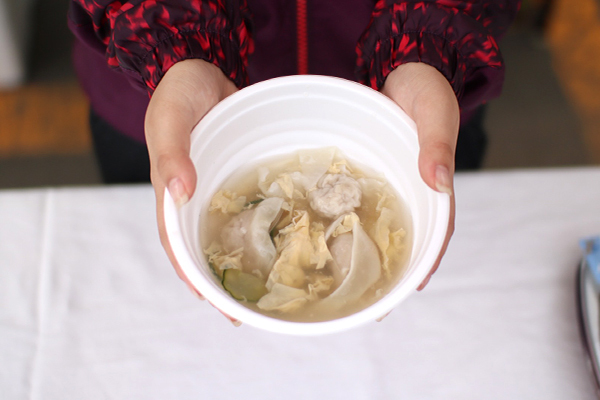 By the way, this is a bowl of wonton soup made byLi Yanwei from the Chinese booth. It’s not really the familiar form of wonton to Japan, is it? 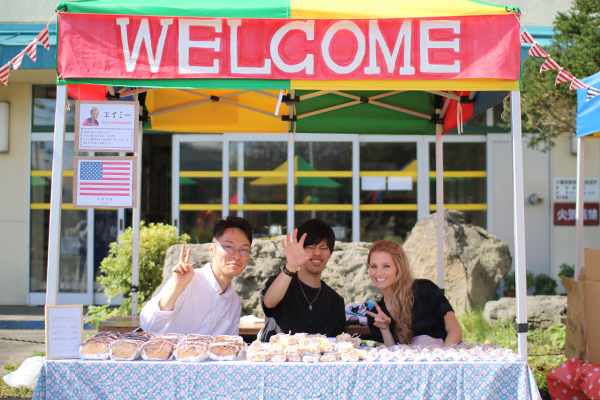 Many students help us as staff. 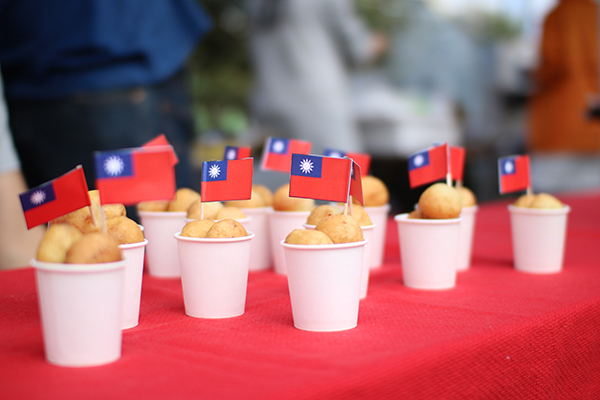 These are dumplings which consist of sweet potato from the booth of Taiwan. 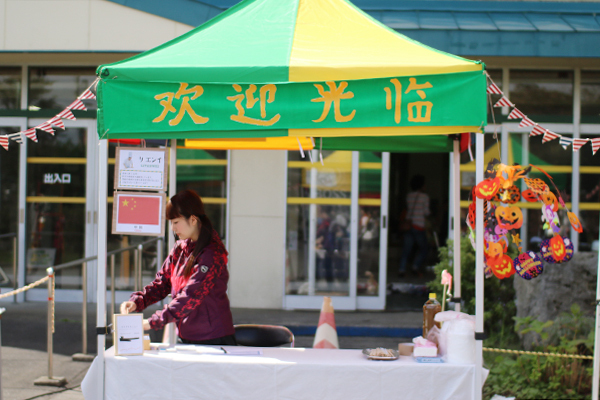 It’s called「Chiurien」 Taiwan’s flag is so cute, isn’t it? Her name is Ryuuiku. She was cooking chicken and vermicelli soup called 「Mayojimensen」 with sesame oil. 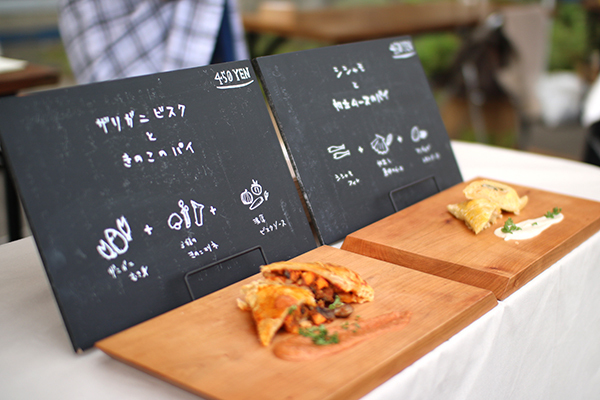 Mr. Kogure provided customers with pies made from crawfishes and shishamo smelt familiar to Eastern Hokkaido. 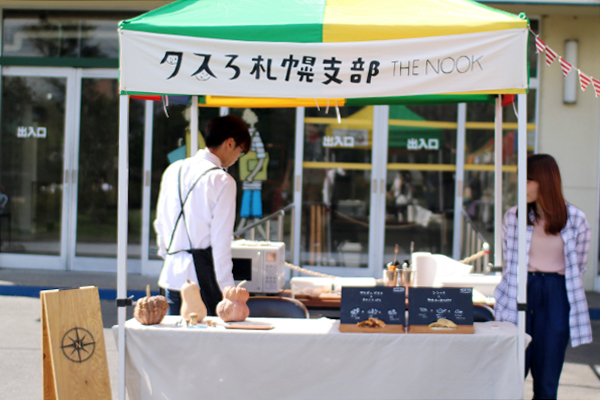 He runs a fabulous restaurant which is called THE NOOK. It looks so tasty. His curry and rice is his pride and joy. 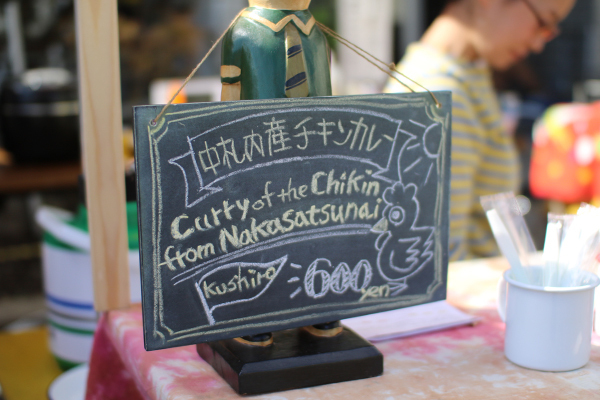 It was so popular and sold out. 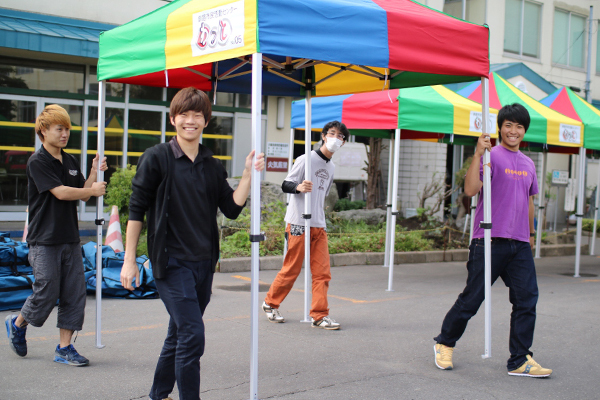 We, Kusuro, set up a booth too. 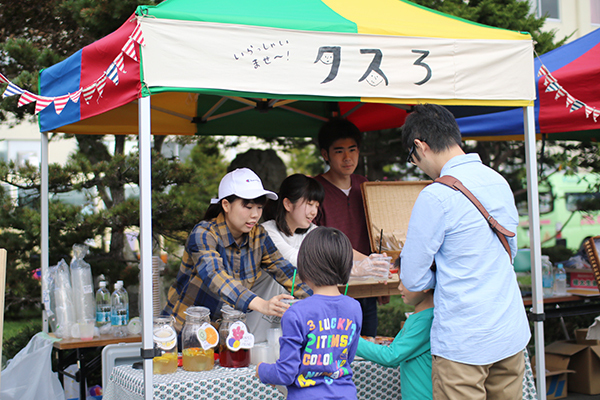 We sold fruit syrup, cookies, cakes and coffee. 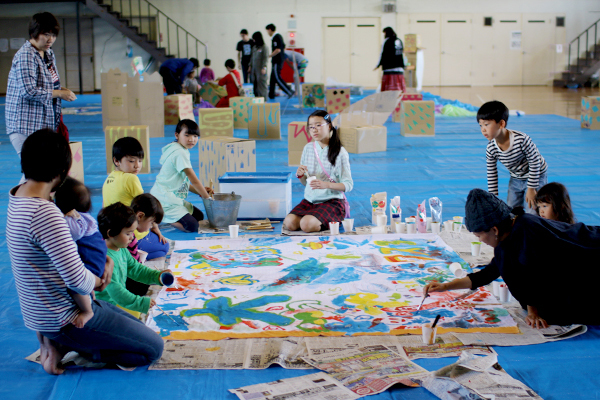 And, this is the second project, “Sister-city without permission”! This time, we made the three areas below a sister-city. ①Yamagata prefecture, Mamurogawa town;Taro,straw work. 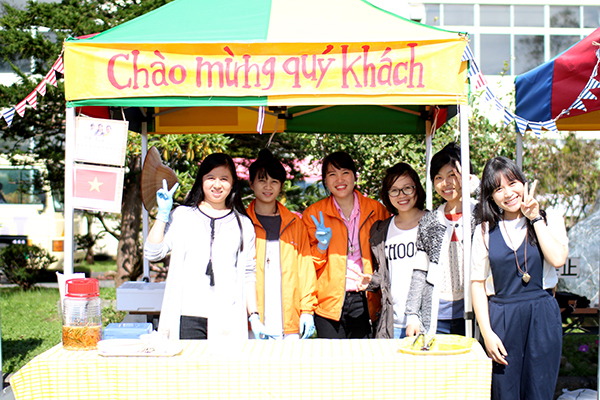 At this event, we also planned an interesting program where customers had to take action at each booth. 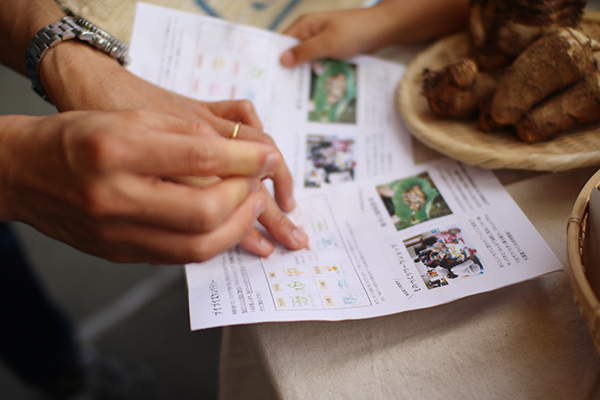 They collected each stamp for the sake of increasing interaction between tenants-owners and visitors. 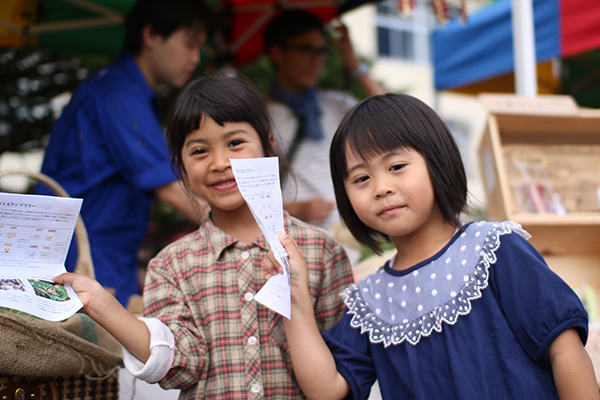 Here’s two girl who collected all the stamps from each booth and got an award. Thanks for everyone attending this program! 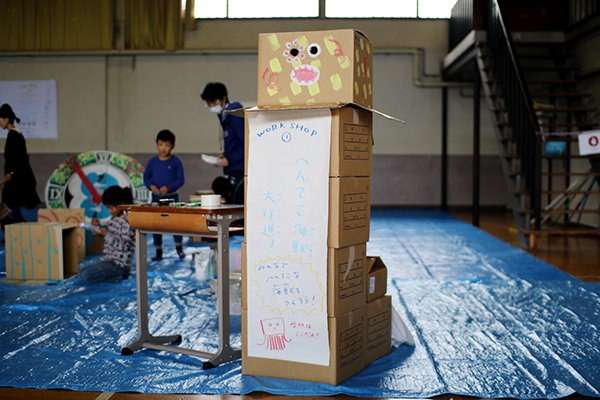 In the gymnasium, the workshop of design and manufacturing intended for children was held. 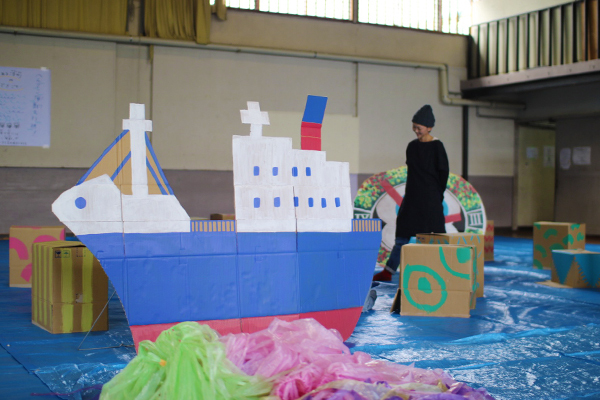 Here we are making a flag in the hope of a great catch of fish. 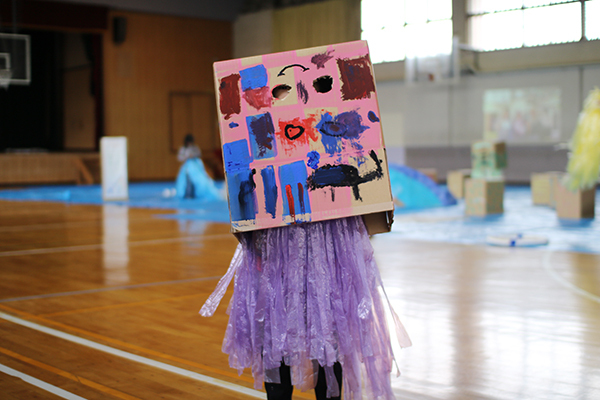 All Children seem to have enjoyed it. 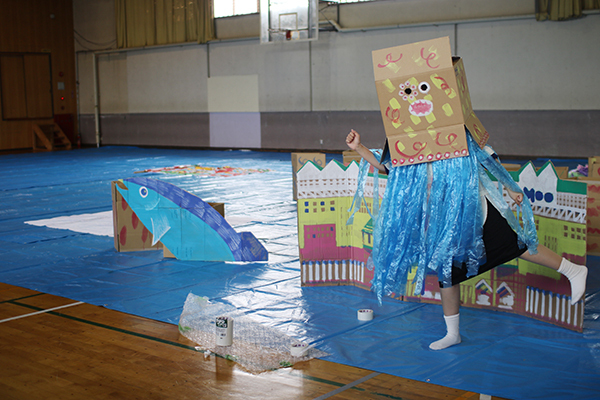 First, we let children choose their favorite boxes to create their “weird sea creature”. 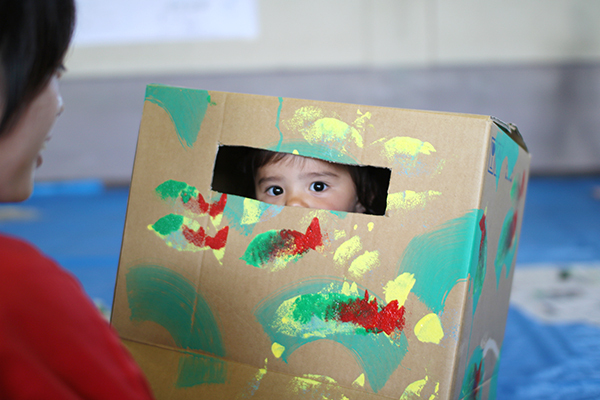 After choosing each box, they painted with their favorite colors and make holes in parts for the eyes. They ended up like this! They went out and started several parades to music. 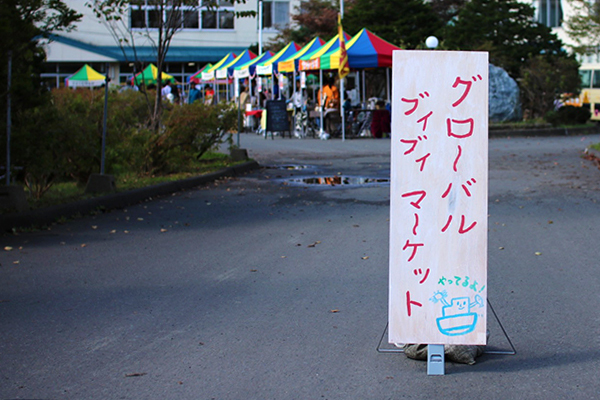 We went to the nearby park with this figure to advertise this event. 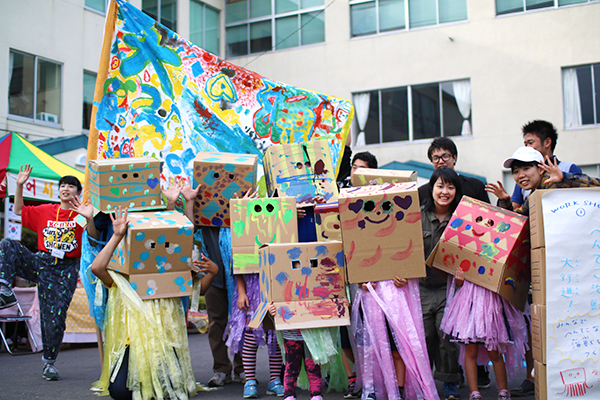 In the last parade, we carrie the completed flag. We took ceremonial pictures with everyone. At the end, we took some ceremonial pictures with all staff and tenant owners! 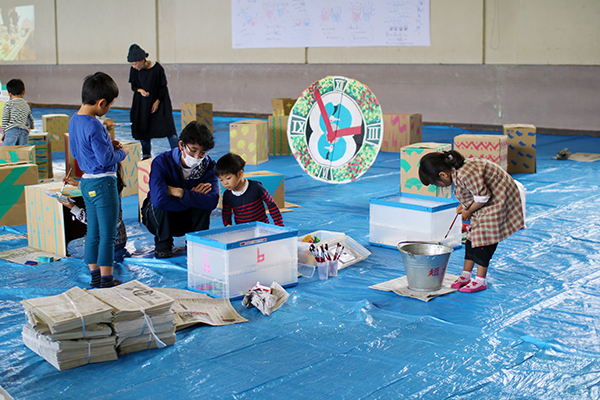 We finished this event without any trouble thanks to a great deal of people’s cooperation. Thanks a million! Finally, let me introduce all the staff involved in this event! 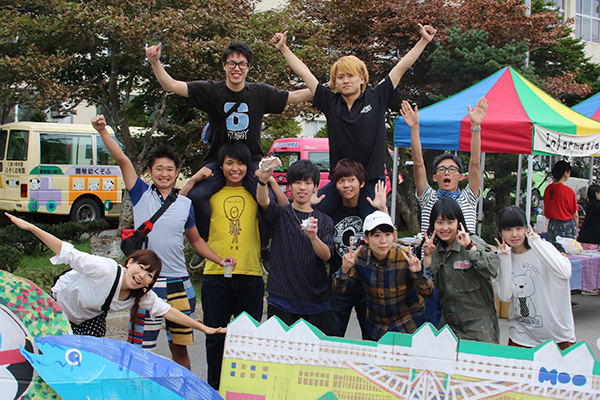 National Institute of technology, Kushiro college students. 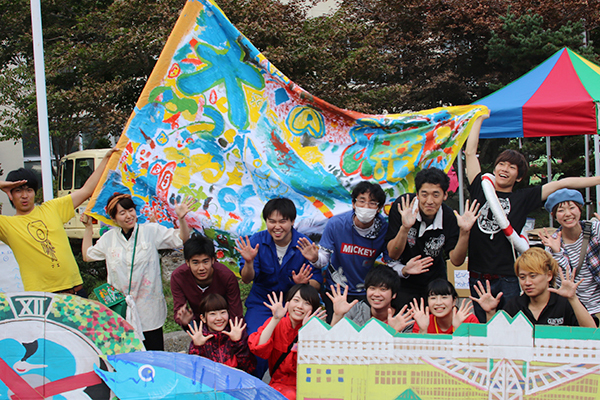 Students of Hokkaido University of Education in Kushiro. AND! 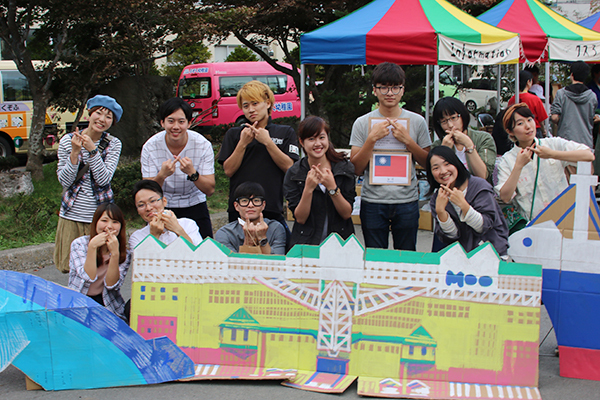 Everyone from Kushiro Public University! 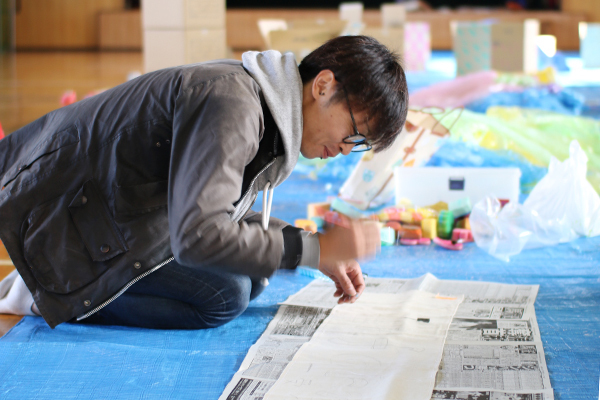 Mr. Kogure ,who came to Kushiro all the way from Sapporo to help us. AND! We had an unexpected visitor. 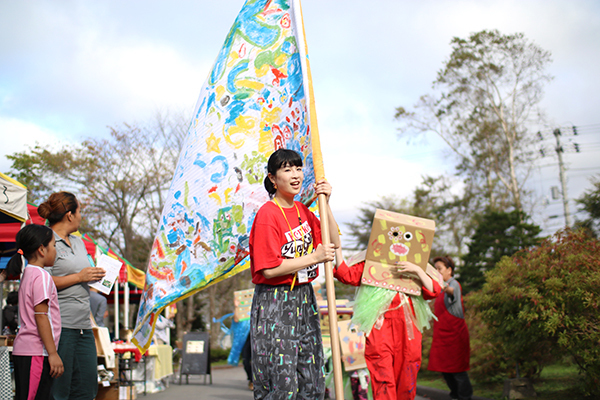 Her name is Yuna from Koyou elementary school. 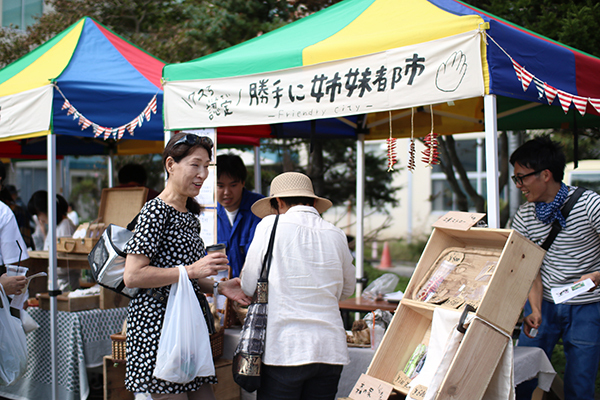 She joined and opened a store at Global Harvest Festival last year. 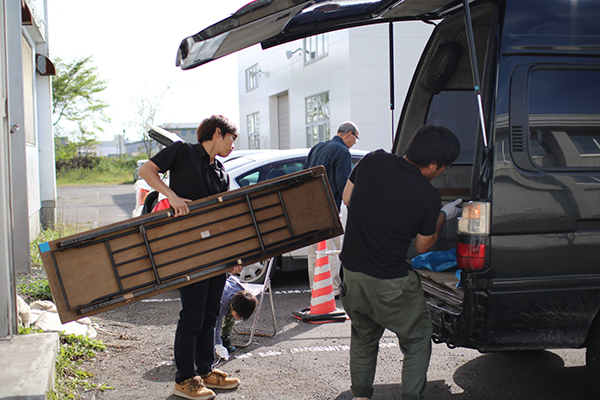 We wouldn’t have finished this event without any accidents if you hadn’t cooperated with us. 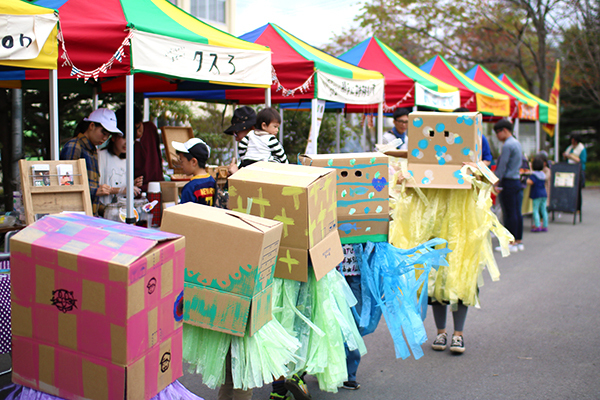 学生スタッフ航太が翻訳をしてくれました！ / This article was translated by student’s staff Kota!